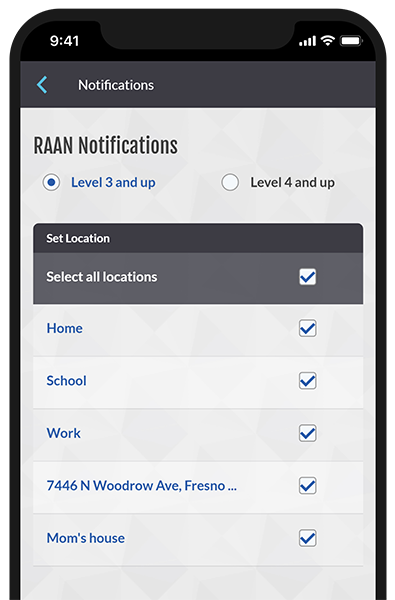 Keep track of current air quality in all of your important neighborhoods with Valley Air, the official app of the San Joaquin Valley Air Pollution Control District. 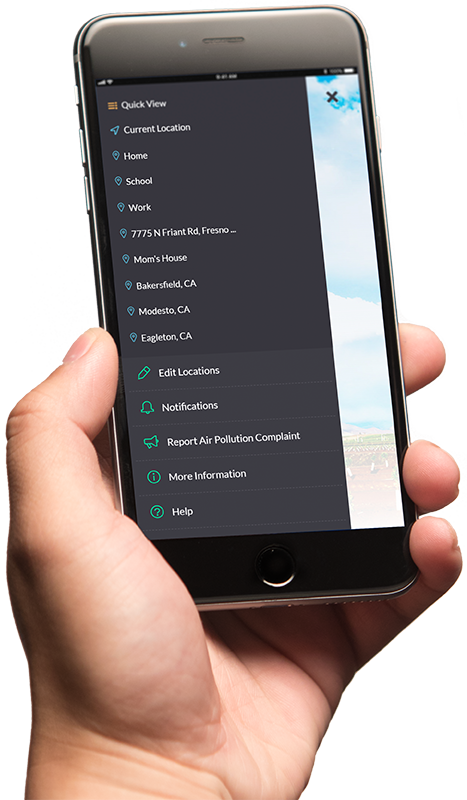 The official Valley Air app is designed for neighborhoods and communities in the San Joaquin Valley. Control where and when air quality notifications are delivered to you. Enjoy features that will help you make health-based decisions for you and your family. 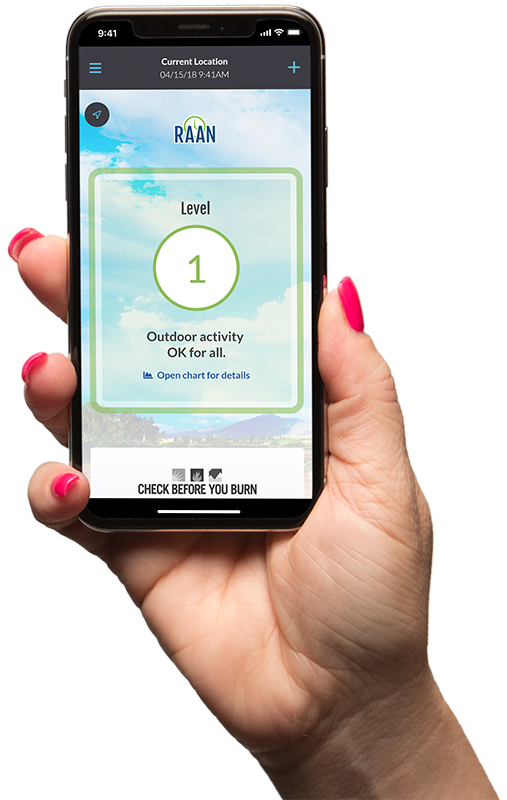 Use the Valley Air app to keep track of air quality at your current location* while you're on the go. 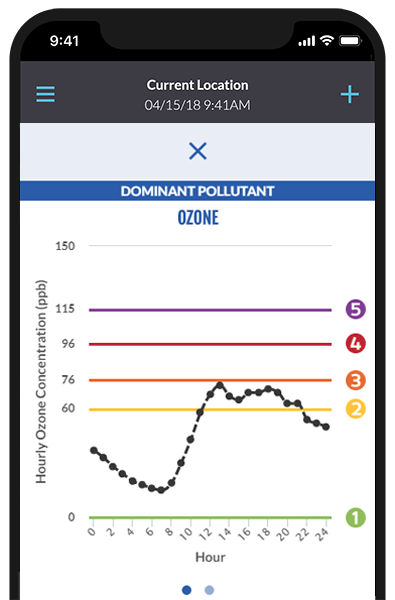 Swipe to view Ozone or PM 2.5 charts. Edit or remove any location in your settings. Give unique nicknames to personalize your profile. 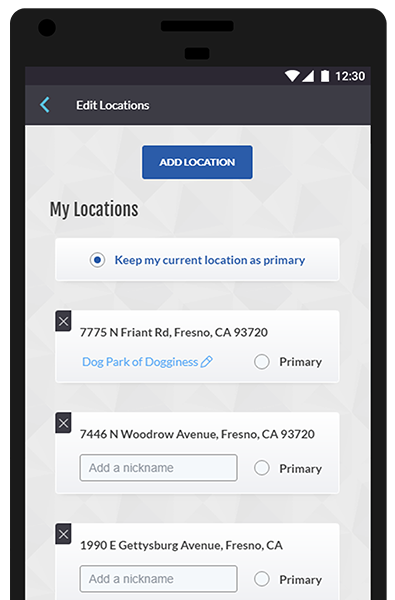 * You can only add locations within the San Joaquin Valley. Set notifications for all of your locations, just some of them, or none. 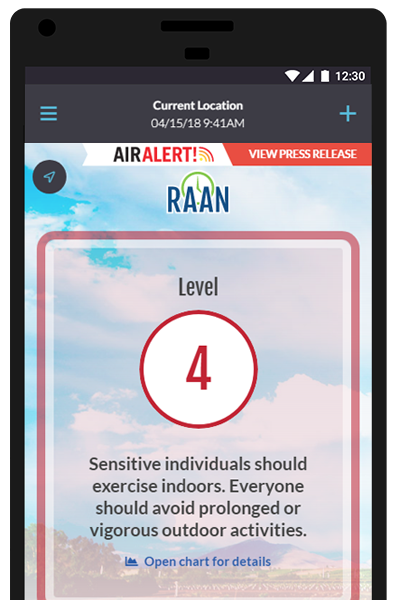 * Air quality notifications are provided by the RAAN system. ** Learn about RAAN Levels. 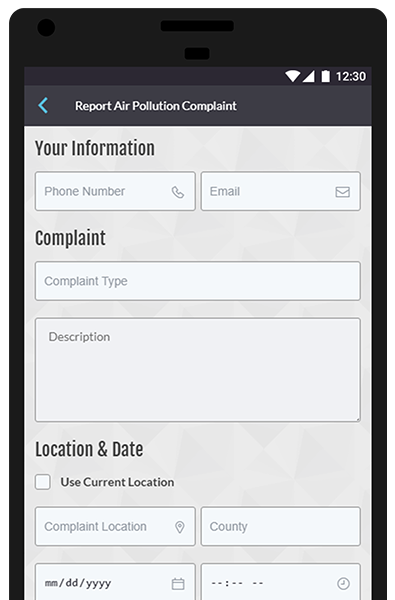 Submit confidential air pollution complaints. Take a new photo or attach a saved photo to your complaint. * CBYB program is in effect November 1 through the end of February. 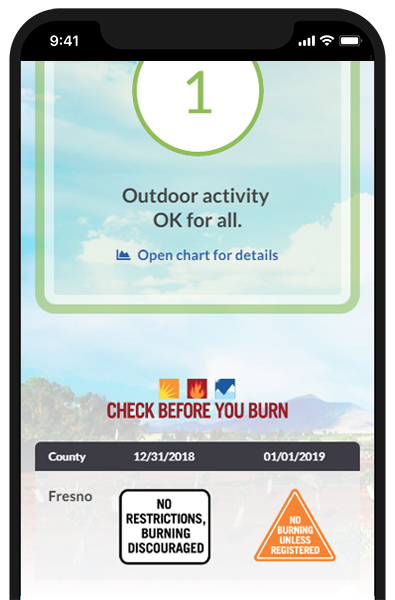 Receive alerts during unique air quality episodes. Fixed location services: Current location display, search and save locations. Charts for both pollutants, PM 2.5 and Ozone, are now visible. Minor bug fixes and performance optimizations.